Throughout our Web pages, we provide links to other servers which may contain information of interest to our reader. We take no responsibility for, and exercise no control over, the organizations, views or accuracy of the information contained on other servers. Creating a text link from your website to our site does not require permission. If you have a link you’d like us to consider adding to our website, please send an email to info@foodbanknla.org. If you would like to publish information that you find on our website, please send your request to info@foodbanknla.org. Information about using our logo and/or images is available by contacting info@foodbanknla.org. This website is designed to be accessible to visitors with disabilities, and to comply with federal guidelines concerning accessibility. We welcome your comments. If you have suggestions on how to make this website more accessible, please contact us at info@foodbanknla.org. We have created this statement to demonstrate our firm commitment to your privacy. We do not collect personally identifying information about you when you visit our website, unless you choose to provide such information to us. Providing such information is strictly voluntary. This policy is your guide to how we will handle information we learn about you from your visit to our website. Please see the Cookies section below. We collect and store only the following information about you: the name of the domain from which you access the Internet (for example, aol.com, if you are connecting from an America Online account), the date and time you access our site, and the Internet address of the website from which you linked to our site. We use the information we collect to measure the number of visitors to the different sections of our site, and to help make our website more useful to visitors. You also may decide to send us personally identifying information, for example, in an electronic mail message containing a question or comment, or by filling out a web form that provides us this information. 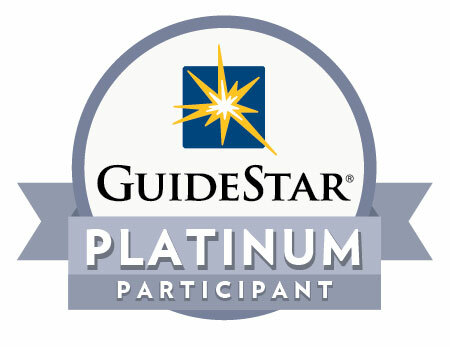 We use personally identifying information from email primarily to respond to your requests. We may forward your email to other employees who are better able to answer your questions. strictly voluntary. Except as might be required by law, we do not share any information we receive with any outside parties. The Food Bank of Northwest Louisiana respects the privacy of our website visitors and handles any information you choose to provide us with care. The only personal data we gather from you is that which you voluntarily provide. However, we do track visitors through the use of coolies and only use general statistics gathered from our site traffic for our own purposes. 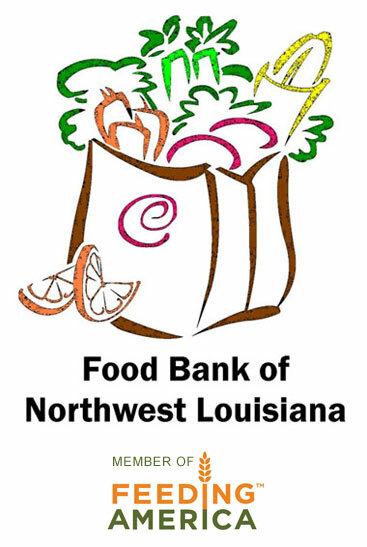 The Food Bank of Northwest Louisiana will only request specific information from you in order to complete a transaction. We do not require that website visitors provide us with personal information in order to contact us, or to be added to our email or mailing list. If you do choose to provide us personal information voluntarily through any form that is currently available on our website, we do not distribute this information to any third party. Your information will be added to our donor database, but this information will not be sold to or traded with other companies. If there are any changes to this policy, we will post the changes immediately. Any information given to us prior to a change in policy will still be protected by the policy that was in place when you provided us with the information. By using our website and providing this information to us, you consent to our collection, use and storage of your information in the manner described above. Personal information remains confidential and will not be shared, traded or sold by the Food Bank of Northwest Louisiana. Questions about our policies: If you have any questions about this privacy statement, the practices of this site, or your dealings with this website, you can contact us at info@foodbanknla.org.